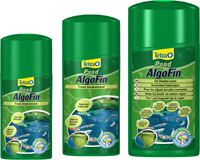 Tetra Pond AlgoFin For the effective and safe destruction of stubborn thread algae and other algae in the garden pond. Pond water conditioner and dechlorinator. Essential for all pond keepers! Normal tap water contains chemicals and metals that can harm pond fish. 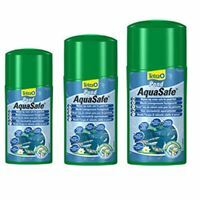 AquaSafe® quickly eliminates chlorine and chloramines, and neutralizes heavy metals. It also provides a protective colloid coating for fish. Reformulated for today's municipal water. Tetra Pond MediFin Universal medicine for all pond fish. 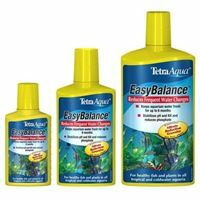 Tetra EasyBalance Reduces cleaning effort and keeps fish and plants in top condition. 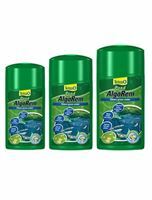 The unique combination of active ingredients ensures balanced water for several months and increases the period of time between water changes. 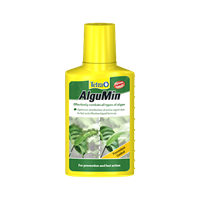 The improved formula contains an optimized mineral mix.